Just hours after he was captured, Saddam received his first official visitors while in American custody. Ambassador Paul Bremer strode into his cell along with Lieutenant General Ricardo Sanchez, the top civilian and military Americans in the country. They were accompanied by four senior Iraqi politicians. : Adnan Pachachi, Adel Abdul Mahdi, Achmed Chalabi, and Mowaffak al-Rubaie. The mood was solemn as the Iraqis took their seats while the Americans stood. The Iraqis began to ask Saddam poignant questions about why he had committed such crimes against his own people. “What other leader in the world used chemical weapons against his civilians. ?” “Why did the 200,000 Kurds have to die and 5,000 villages be bulldozed during the Anfal campaigns/” “Why did you order my friend to be executed?” After about a half hour of exchanges, the Iraqis grew weary of Saddam’s casual admissions and his nonchalance. The group stood to leave. The record of the Dujail trial is one of missteps, mistakes and misstatements. Its processes and political dimension were filled with controversy both within and without Iraq. There was very little about this first trial held by the Iraqi High Tribunal that was predictable, yet its very audacity is inspiring. 2004 would be the year of preparation and perseverance as Iraqis suffered and the fathers of the Tribunal began to prepare for the most important trial in the history of the Middle East. But, Iraqis felt safer in the assurance that Saddam could not miraculously return to power. On July 1, 2004, seven months after he had been captured, sixty-seven year old Saddam Hussein was brought before an IHT judge for arraignment. The former leader of Iraq was flown from the detention center by helicopter to a hastily converted building at Camp Victory, a sprawling US military base near the Baghdad airport. Flanked by two Iraqi prison guards and four Iraqi policemen, Saddam was ushered into the small courtroom in handcuffs and with a chain around his waist. Dressed in a dark suit, polished brown shoes, and a crisp white shirt buttoned to the collar, Saddam sported stylishly coiffed hair and a neatly trimmed beard that was a far cry from his scraggly “Ted Kaczynski/Unabomber” look at the time of his capture in December 2003. The Arab world had never seen anything like this scene, which was broadcast repeatedly over the next twenty-four hours. In a region of the world accustomed to tyrants and despots, a seemingly invincible dictator was hauled before a court of his own citizens. The television broadcasts of the event showed only the back of the judge’s head and his name was not mentioned for security reasons, but a few months later the world would learn that the man who read Saddam his rights and summarized the charges on that July day in Baghdad was 35-year-old Ra’id Juhi. Built like a football player, the youthful judge was a graduate of Baghdad Law School. He was originally one of the Investigative judges of the “CCCI,” Iraq’s newly established criminal court for ordinary crimes. Judge Ra’id had come to the attention of American authorities in 2003 while serving in Najaf when he courageously signed an indictment for notorious Shi’ite warlord Moqtada al-Sadr, charging him with murder. The public revelation of the Moqtada al-Sadr indictment placed the young judge and his family in great danger, and they were relocated for their protection to the International Zone in Baghdad, where they resided until the end of the Dujail trial. Because of his solid command of English and his unflappable demeanor, Ra’id Juhi became an obvious choice to head the investigation phase of the Al Dujail case. The guards removed Saddam’s handcuffs and gently guided him onto his chair across from Judge Ra’id, who sat behind a table. The dictator and the judge faced each other about eight feet apart, with a low railing separating them. The first moments were palpably tense. Saddam, who apparently thought he was about to be summarily executed, was visibly anxious. But in a preview of things to come in the later trial, during the twenty-six minute session, Saddam went from being nervous and hesitant, to confrontational and belligerent, while at the same time displaying legal acumen and even a sense of humor. CNN correspondent Christiane Amanpour, who was one of three reporters permitted to observe the proceedings, described Saddam as looking like a shadow of his former self, alternatively downcast and defiant. “Former President of Iraq,” Judge Ra’id corrected. As the session drew to a close, Judge Ra’id handed Saddam a sheet of paper to sign, indicating that he had been informed of the charges and understood his rights. But Saddam refused to pen his name to the document, saying he would not sign anything without lawyers present. By this time, Saddam’s wife and daughters had retained a team of 20 foreign defense lawyers, among the best money could buy. The hearing ended with Saddam asking the judge, “Have you finished?” “Yes,” Judge Ra’id answered. “Khalas! [finished]” Saddam exclaimed. The scene was essentially repeated eleven more times that day, as Judge Ra’id arraigned each of the other senior members of the Ba’ath regime. Over the next several months, Judge Ra’id would interview the defendants (always with their lawyers present), and compile a dossier (referral file) against Saddam and the others, containing over a thousand pages of witness statements and incriminating documents -- many baring the former leader’s signature. Judge Ra’id told the authors that during the Dujail investigation, he kept at least four copies of the entire referral file hidden in various places at all times because he was worried about things that could derail the investigation --bombs, rockets, fires. One was stored in the Secure Evidence Unit, one was kept in the IHT Office Building, and two more were kept in secret places that he changed from week to week. As with every other day of the Al Dujail trial, the proceedings in the courtroom represented only the visible aspect of an enormously complicated choreography of behind the scenes work. Trial seldom began at the precise time of day that had been planned due to the simple reality that the judges could not sit down while any detail was out of place. Behind the scenes, advisors would often wage friendly bets on the precise time that the judges would enter the courtroom. Viewers on television would know only that trial was delayed or that the lunch break went on far longer than anticipated. A confluence of components had to be satisfactorily resolved each and every day of trial, and every time the court took a recess of any length: travel arrangements to and from court for witnesses, lawyers, judges and distinguished visitors; the occasional illness or physical complaint of court personnel or of defendants that required medical attention by the on-site medical team; shifting security procedures; coordination of witnesses to and from Dujail; media inquiries; transfer of evidence to the courthouse and preparations for its use in open court; the malfunction of courtroom technology; defense matters such as communications with the judges and the mechanics of conferring with obstreperous clients; delivery of food to the courthouse; judicial conferences to debate pending legal issues; defense motions and frequent demands to the judges. The list went on and on, and new challenges seemed to arise daily. Almost any minor event could trigger extended delays. For example, one day the most critical person for a timely judicial day was a cat catcher on contract to the Americans. 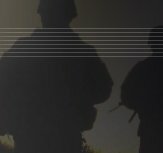 Insurgents constantly probed the defenses of the International Zone. Though it was easy for some to become complacent as they roamed freely around the secured area in the heart of Baghdad, the steady drumbeat of attacks, random mortars, and rockets was accompanied by the occasional car bomb or other orchestrated attack. Insurgents learned that by releasing stray cats, they could frustrate the dogs that were trained to detect explosives. The delays would cause chaos and snarl traffic at checkpoints, frustrate orderly schedules, and make tempers short. The release of cats demonstrated the art of asymmetric warfare perfectly; but the art of modern counter-insurgency requires adaption to a shifting enemy. The answer – bring in cat catchers. They were from Louisiana, and they were very good at what they did. 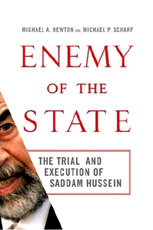 In the first four sessions of the trial (October 19, November 28, December 5, and December 6), Saddam had taken advantage of the opportunity to freely air his grievances on several occasions, but so far his sole complaints of mistreatment were that he had not been provided a pen and paper with which to take notes, that he was given only six cigarettes a day (and did not like the brand), that he was required to wear the same suit for several days without a clean change of clothing, and that he was forced to walk up four flights of stairs rather than take an elevator to reach the courtroom. Had he really been subject to acts of torture, he certainly would have mentioned it then, rather than confine his complaints to these minor inconveniences. In this context, Ja’afar responded sarcastically, “I visited the detention places in July when it was very hot and saw that the defendants all had air conditioned cells even though Baghdad was without electricity. But if you have been mistreated by the Americans, we can ask that you be transferred into Iraqi custody,” something Ja’afar knew Saddam would want to avoid at all costs. Before the two sides could get into a shouting match, Judge Rizgar wisely indicated that the defendant’s claims would be fully investigated before the trial resumed again on January 24, 2006. 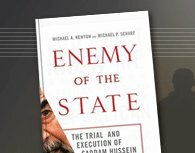 From a legal stand point, the reader might be wondering what would have happened if the investigation had revealed that Saddam had in fact been subject to “serious mistreatment” at the hands of his jailers. This was a weighty charge which could have had considerable consequences. According to Article 17 of the Statute of the Iraqi High Tribunal, the judges are to be guided by the precedent of the International Criminal Tribunals for the former Yugoslavia and Rwanda. The issue was addressed by the Appeals Chamber of the Yugoslavia and Rwanda Tribunal in the case of Dragan Nikolic. The Appeals Chamber stated that in cases in which pre-trial treatment of the defendant rises to the level of serious human rights violations (torture or cruel, inhuman and degrading treatment), the Tribunal must dismiss the case since “it would be inappropriate for a court of law to try the victims of these abuses.” But the Appeals Chamber found that the mistreatment in the Nikolic case was not serious enough to merit dismissal (he had been abducted in the middle of the night and roughed up but not permanently injured), stating that apart from the most “exceptional of cases,” the remedy of setting aside jurisdiction would “usually be disproportionate” with respect to a defendant charged with crimes against humanity. Although it found no evidence to substantiate Saddam’s claims of mistreatment, the IHT never issued a written report to that effect, once again leaving the unfortunate impression that it had failed to take an important issue seriously.